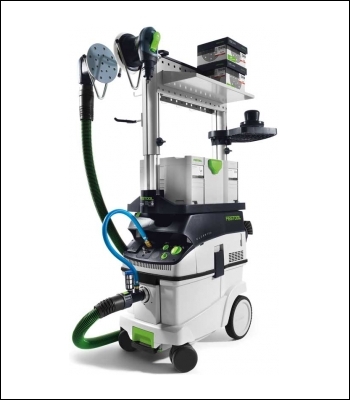 Mobile compact workstation for paintwork preparation. Save time searching: abrasives and machines clearly arranged and close at hand. Efficient workplace organisation for low maintenance and a long service life. Long service life and minimum maintenance. Coarse, intermediate and fine sanding. In clear coat preparation. For use as a mobile, compressed air sanding station.